I was proudly invited to celebrate and say thank you to some of Variety’s brilliant supporters, past and present Chief Barkers and ever inspiring Variety children. It takes many special people to change a Variety child’s life. 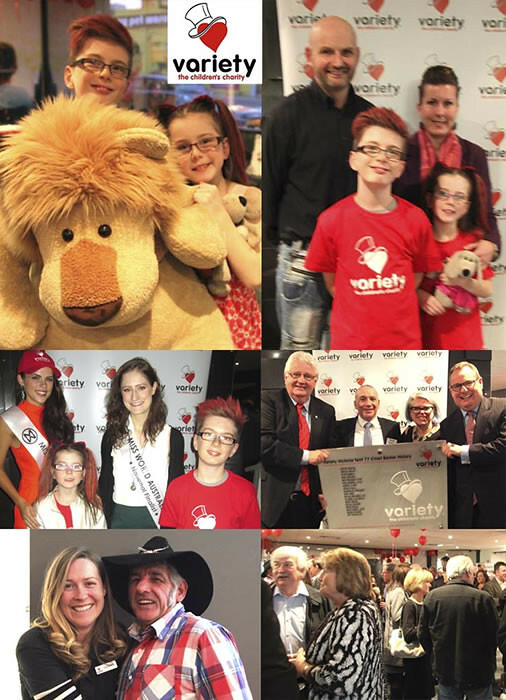 On Tuesday 8 July, with support from Lion, Variety held a small event to thank our wonderful Variety family of supporters. The night was a great opportunity to recognise our incredible past and present Board chairs and members, Variety’s wonderful supporters, volunteers and staff and to make a grant to a very special little boy. Eleven year old Daniel who has severe expressive language disorder and articulation difficulties received a 16GB iPad air, a flexi case, printer, keyboard and associated learning applications to help him communicate. Daniel’s mum Georgie gave a heartfelt thank you speech and told us of the impact this Variety grant would have on Daniel’s life. The evening was a great success with several Variety grant recipients and their families attending and sharing stories of their Variety experiences. It was an opportunity to meet some of Variety’s staff, Board members and volunteers who make it all possible.